I’ve written about beers from City Steam Brewery in the past – but I did have to take a minute to write one about their Norwegian Wood this year. I want to confess a couple things before I write more. One is that I don’t particularly love Winter or Holiday beer. Give me anything from Autumn and I will have it all day, but Winter isn’t me. The next is that I’ve always liked City Steam because they have a lot of wonderful go to beers (you can read about City Steam’s beer here), but I have never actually found anything that stood out to me. 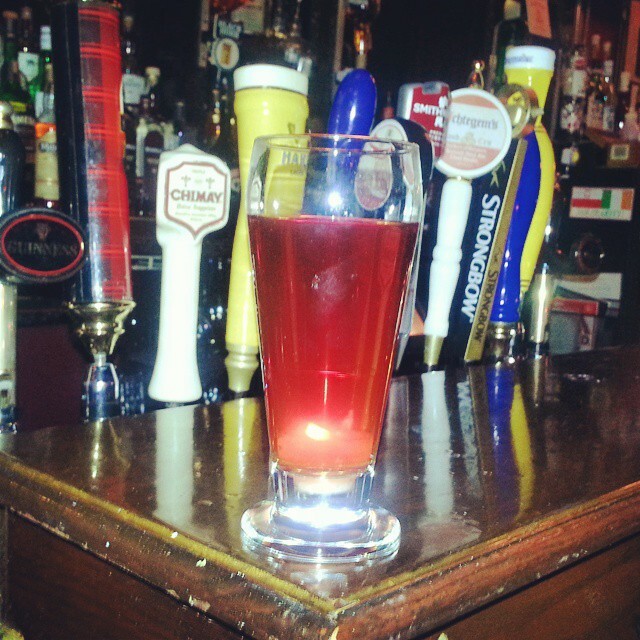 Norwegian Wood is both a beer from City Steam and a Winter beer, and I just loved it. Norwegian Wood is a Spiced Beer meaning basically what it sounds, the beer takes on the flavor of the spice that is used to make it. If you like decent beer you will absolutely appreciate this and can totally have two. 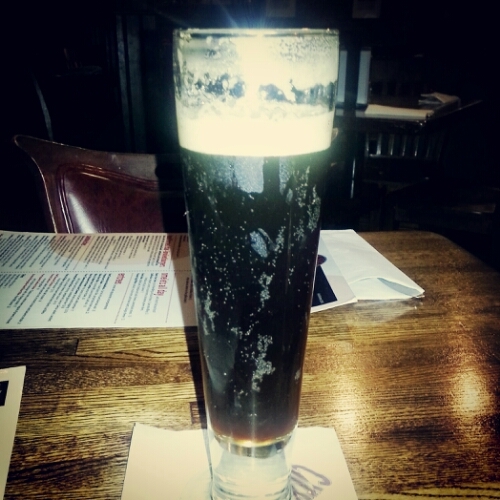 If you typically go out during the holidays to get a cookies and cream martini with cinnamon on the rim – you’re going to start drinking beer because you had this. If you get over to City Steam an added plus is that they will serve this on nitrogen for am extra smooth flavor. This is absolutely recommended and props to City Steam for making a holiday beer so accommodating to every day tastes that remains yummy and creative enough for a total beer snob to rave about. Great work. After a long and successful year of campaigning at work here in Connecticut – I’m excited to start writing about the art and craft behind a bunch of my favorite beers. As you can imagine – there’s a bit of a backlog right now. 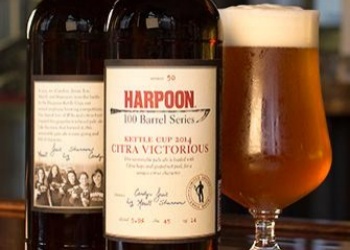 The first beer I want to write about before it’s too late is Harpoon Brewery’s 100 Barrel series #50, Citra Victorious. This 100 Barrel series grew out of a great tradition at Harpoon Brewery. It’s based on an annual company-wide home brew competition judged by blind sampling. One of the reasons I love this beer, aside from the awesome taste that I’m about to touch on, is that this one was made by a bunch of talented ladies. Anytime we have the opportunity to highlight the work of women in the brewing industry – we should do it. Citra Victorious is a pale ale that comes in at 5.8% ABV. It’s all around a great introduction to craft beer for anyone who might be afraid of it – and great for any fan of pale ales who wants something crisp and refreshing enough to have more than one. This beer has enough fruit for summer but is crisp enough to work it’s way into autumn comfortably. Your first sip is going to taste like both hops and grapefruit, and the beer finishes by wiping away bitter flavor and giving you a clean light grapefruit taste. If you can snag a bottle for your Thanksgiving get together – it should be a hit. Harpoon has a lot of creativity to offer the beer world, so while you’re at it, you should try 100 Barrel Series #51, Cambridge Uncommon, and check out more history by looking through what they’ve made in their 100 Barrel Series.